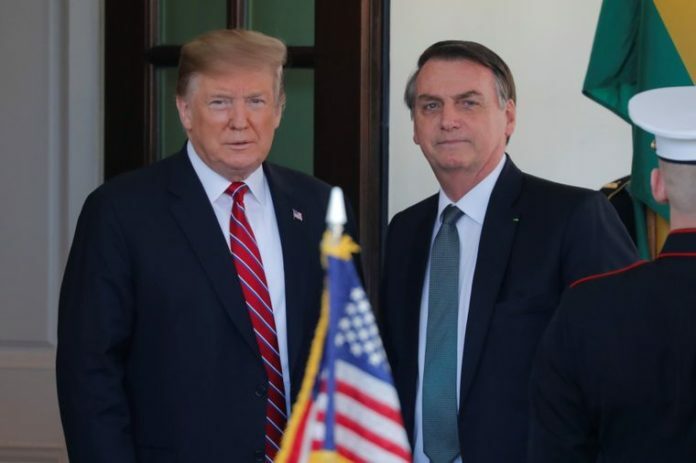 Home World Affairs Trump supports Brazil’s efforts to join OECD. Trump supports Brazil’s efforts to join OECD. US President Donald Trump on Tuesday said he is supporting Brazil’s bid to join the Organisation for Economic Co-operation and Development (OECD). “I am supporting their efforts to join the OECD,” Trump told reporters as he began a meeting with Brazilian President Jair Bolsonaro. Trump emphasised that trade would be a big topic during the bilateral meeting between the two leaders. Previous articleMexican President signs declaration promising not to seek re-election in 2024.